The Chief Minister said the responsibility of preparing the new master plan will be handed to the Administrative Staff College of India (ASCI). Chief Minister K Chandrashekhar Rao speaks during a review meeting on Saturday. Hyderabad: A brand new master plan will be prepared for development of the city of Hyderabad, a plan that will be made practically inviolable through a special Act that will be passed by the Government, Chief Minister K Chandrashekhar Rao has said. The Chief Minister, laying out his vision for Hyderabad and life in the city, said the responsibility of preparing the new master plan will be handed to the Administrative Staff College of India (ASCI) which in turn can appoint national and international experts as consultants. On the cards as part of the new master plan is zoning of areas for development of specific facilities – such as an education city, a health city, a sports city, a cinema city – among others. “Permissions must be given accordingly. Areas must be used for the purposes they are delineated for. The master plan cannot be violated under any circumstances. An Act will be passed that will make it mandatory for any change to be approved by the Cabinet,” the Chief Minister said. The Chief Minister also called for plans to develop counter-magnet cities with adequate employment opportunities and infrastructure to encourage people to work and live in such cities, which in turn will help Hyderabad city to provide a quality life for its citizens as will the counter-magnet cities. “The task ahead of us is huge and the Hyderabad Metropolitan Development Authority by itself cannot meet the emerging challenges. There is a need for other similar authorities with experts from various fields in them that can work in tandem for ensuring that Hyderabad truly emerges as a Global City. The new Master Plan should be one that will prepare the city to face the future over the next decade and more,” the Chief Minister said. 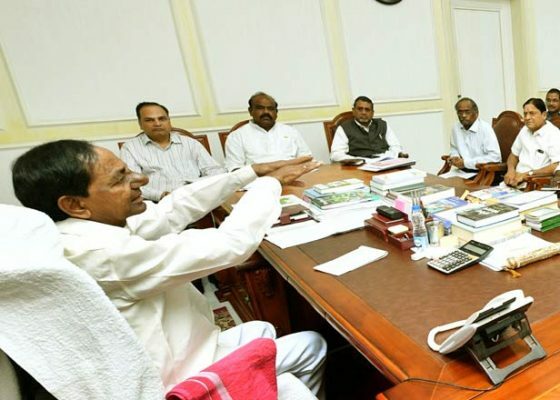 Chandrashekhar Rao on Saturday, chaired a meeting at Pragati Bhavan where he discussed development of Hyderabad as a Global City and the planning requirements to make this happen. The meeting discussed how a layered plan for the city’s development – with one being the city within the Outer Ring Road (ORR), the second comprising area between the ORR and the proposed Regional Ring Road, and the third being the area outside of the Regional Ring Road. The Chief Minister said Hyderabad was growing rapidly but a lot much more is needed to be done and without losing any more time to meet its requirements. “Four to five lakh new people are making Hyderabad their home. There is also the large floating population that visits the city,” he said. And to meet the needs of this growth, attention must be paid in the Master Plan for infrastructure development – be it roads, sewerage, traffic management, transportation systems, power supply, and improving of green cover – with an eye on the future, he said. The government will ensure all the necessary funds are made available for the development of the city through using various means, he said. The Chief Minister also announced that the foundation will be laid this month for the proposed reservoir at Keshavapur for supplying drinking water to Hyderabad city and it will be completed expeditiously. 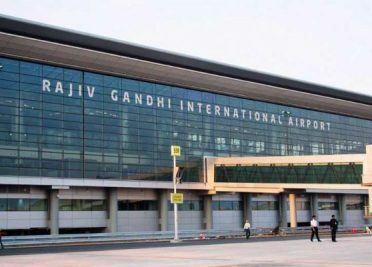 Metro Rail services will also be extended to the Rajiv Gandhi International Airport. 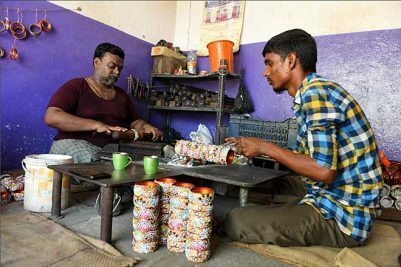 The proposed new Master Plan for the city is a wake-up call to the city of Hyderabad that will ensure it will not only continue to grow but thrive, according to Chief Minister K Chandrashekar Rao. The Chief Minister who announced the decision for a new Master Plan on Saturday at a meeting at Pragati Bhavan, recalled that when he began construction of Hyderabad, Quli Qutub Shah has said that he was not building a city but a ‘jannath (heaven)’. “Hyderabad was truly a heaven at one point of time. The city meant gardens, lakes and pearls with a pleasant atmosphere and weather. But with time, the situation has changed. Musi river was allowed to get degenerated into a dirty drain. Pollution has been increasing and traffic management is emerging as an issue. The green cover in the city has decreased. In the years to come, increasing population of the city will take matters out of anyone’s hands and it is time for all of us to wake up to what lies ahead,” he said. “We need to estimate what the city needs for its future and take steps for it to grow accordingly. This is why a new Master Plan that will be implemented fully is required,” Chandrashekhar Rao said. The industrial policy of the State Government has resulted in large-scale investments in IT and other sectors. Consequently, employment opportunities have increased including in hoteling and construction sectors. The city is attracting four to five lakh new residents every year, he said. “While such activity contributes to the city’s economic development, this cannot be at the cost of quality of life. If we do not take steps right away, life might turn into hell in the city,” he said. “Cities such as Bengaluru, New Delhi and Chinese capital Beijing are no longer able to offer a quality life for their people. Bengaluru is in the grip of a traffic crisis while Delhi is choking under pollution. Cities are destroying themselves right in front of our eyes. We will not let this happen to Hyderabad,” Chandrashekhar Rao declared. The Chief Minister stressed on the importance of developing lung spaces using all the forest blocks spread over 1.5 lakh acres in and around the city. “Construction permissions were being given without a thought to protect open spaces. Environmental protection is our priority and polluting industries must be shifted outside of the city. Areas with defunct industries must be converted into parks,” he said.